The growing edentulous population is expected to be an important factor driving the growth of the global dental biomaterials market throughout the forecast period as people aged 60 years and above are at a high risk of developing dental disorders. According to the latest research by the company, the global dental biomaterials market is expected to account for over US$ 1,880.0 Mn, in terms of value, by the end of 2026. The dental biomaterials market is expected to witness substantial growth at a CAGR of 4.4% through 2026. The increasing number of dental clinics with trained professionals for implant placement is consequently expected to boost the demand for biomaterial implants. High penetration of biomaterial implants across the globe is expected to be a major factor driving the growth of the dental biomaterials market. Dental biomaterials are promising products in preventive and restorative dentistry, they are efficient with high success rate in oral treatment and prevention. This factor is also expected to boost the growth of the global dental biomaterials market over the forecast period. Moreover, increasing awareness regarding oral hygiene is also expected to drive the growth of the dental biomaterials market in the region. As oral diseases are considered the most expensive diseases to be treated in developing as well as developed countries. As per the data published by the Polish Central Statistical Office, the number of dental consultations in the country increased from 28 Mn in 2007 to 29 Mn in 2008, i.e., a 3.6% increase. It is also observed that most of the dental practices in the U.S. are solo, due to the large presence of private dental insurance subscriptions. Consolidation of the dental industry in the U.S. has led to a lowering of out-of-pocket cost for dental services due to the implementation of the Protection and Affordable Care Act (PPACA). This is also projected to contribute to the growth of the global dental biomaterials market over the forecast period. In countries such as China and India where there are numerous small players operating, raising a margin is prerequisite to market entry. Thus, the region provides the lowest production cost for dental biomaterials, which is attracting many big companies to outsource their manufacturing operations. India offers approximately 70% lower production cost primarily due to low labour cost. However, due to low labour productivity in the manufacturing of dental products, domestic manufacturers of low middle-income countries are unable to meet the rising demand for dental biomaterial products. Latin America has one of the most complex taxation frameworks. According to the Organization for Economic Cooperation and Development (OECD), Brazil shows the highest number of days needed for opening a company. The political and economic crisis in Brazil is expected to hamper the growth of the dental biomaterials market in Latin America, as Brazil is one of the large economies in the region. Furthermore, the reduction in dental funding in core countries is also expected to hamper the growth of the global dental biomaterials market. On the basis of product type, the global dental biomaterials market has been segmented into dental membranes and dental bone graft substitutes and dental materials. 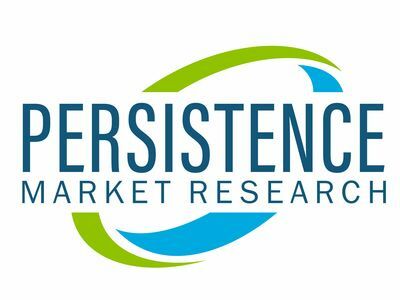 The dental bone graft substitutes and dental materials segment contributed a revenue share of over 80% in the global dental biomaterials market in 2017 and is expected to hold maximum revenue share over the forecast period. On the basis of the end user, the global dental biomaterials market has been segmented into hospitals, dental clinics, and others. From a geographical perspective, the dental biomaterials market has been segmented into North America, Europe, Latin America, Asia Pacific (APAC) and Middle East & Africa (MEA). The Asia Pacific dental biomaterials market is expected to register a noteworthy growth in the global dental biomaterials market during the forecast period. The company's report tracks various companies operating in the global dental biomaterials market, including Zimmer Biomet Holdings, Inc., Danaher Corporation (Nobel Biocare Services AG), Dentsply Sirona, Geistlich Pharma, 3M Company, and Institut Straumann AG, among others. The leading players in the dental biomaterials market are majorly focusing on increasing their market presence by adopting various strategies such as collaborations, mergers, acquisitions, and agreements. In addition, the local and small players are focusing on product expansion in order to expand their share in the global dental biomaterials market.